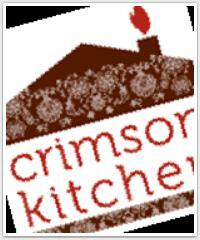 At Crimson kitchen I teach Indian cooking classes which are hands on and easy to follow. We replicate Indian home cooked meals which are healthy, nutritious and authentic. The classes are in small groups of 4-6, fun, interactive and social. You leave with a greater understanding of Indian culture, spices, a few new friends and the confidence to create a full Indian meal. Recently there has been an increasing demand for vegetarian and/or gluten free food and Indian cuisine adheres easily to both. I also offer weekly meal deliveries to professionals and busy moms. Menus are from around the world and have vegetarian and non vegetarian options. We are also available to cater private parties, cocktail parties and special events. The attempt is to demystify Indian food and share a little bit of my kitchen with you.